Total Remodeling Systems is an experienced and trusted home improvement company serving customers in Silver Spring and nearby cities in Maryland. We offer a wide range of home improvement and remodeling services from sunroom and decking installation to replacement windows and bathroom remodeling. We’ve been helping Silver Spring area homeowners with their remodeling projects since 2006. Our company is made up of a team of leaders who all work together to deliver amazing results for our clients. When you work with us, you become part of the TRS family! if you’re ready to schedule a consultation for your upcoming Silver Spring remodeling project, contact us online or call us today at 1-877-309-8445! No matter your sunroom needs, Total Remodeling Systems can deliver! 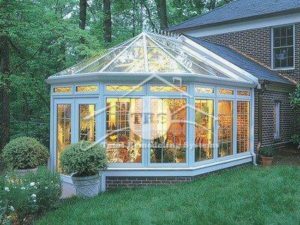 Ready to get started on your Silver Spring sunroom installation project? Contact Total Remodeling Systems today! For many Maryland homeowners, the thought of having windows replaced is overwhelming. Let our window experts take the hassle out of home improvement and enhance the quality of your living space. We’ll work with precision to ensure that your windows are installed right the first time! At Total Remodeling Systems, we know that your window replacement project will only be worth it if the windows are installed properly. Fortunately, our products are designed and installed by a team of dedicated home improvement experts with years of experience, guaranteeing that they will fit your home specifications exactly. Our team of local Silver Spring window installation experts is trained on proper installation and customer service etiquette and is second-to-none at what they do. Are your home’s windows damaged, small, or outdated? Contact us today for more information about our window replacement options in Silver Spring, MD! Are you tired of repairing your old, damaged deck—or just sick of not having a deck at all? 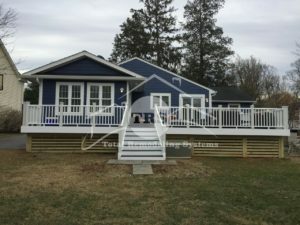 Total Remodeling Systems offers decking installation in the Silver Spring area so that you can enjoy your home’s outdoor space, rather than watching nice weather pass by from your windows! Our DryShield® decking provides a unique combination of great aesthetics and long-term durability. These premium composite decks are available in a range of wood tones with natural looking grain patterns to satisfy any deck design. DryShield’s encapsulated decking is different from the standard wood/plastic composite deck. Our unique total encapsulation technology completely defends our boards against moisture. It’s engineered tough enough to be installed in even the harshest of applications like direct ground or water contact. Don’t let another summer pass by without a deck in your backyard. Call Total Remodeling Systems at 1-877-309-8445 today to schedule your in-home consultation! Is there anywhere in your home more personal than your bathroom? Why are you settling for anything less than you deserve in such an important space? The bathroom remodeling specialists at Total Remodeling Systems have seen many outdated and uninviting bathrooms in Maryland—and we’ve transformed them into beautiful, functional, clean spaces! From walk-in and safety tubs to replacement showers and more, the bathroom remodeling experts at Total Remodeling Systems are ready to take care of your space. Does your bathroom need an upgrade? Contact Total Remodeling Systems to discuss your Silver Spring bathroom remodel today! Why Choose Total Remodeling Systems for Home Improvement Services in Silver Spring? Here at Total Remodeling Systems, our customers become our family. You will see that we stand out from the competition from the very beginning. Our design consultants will treat your home like their own, respect your valuable time, and carry a level of honesty that isn’t frequently seen in the remodeling industry. Our project managers, service department, and managerial staff take your project as seriously as you do—and we’re committed to delivering excellent results every time. No matter your home improvement needs, Total Remodeling Systems can help. Give us a call today at 1-877-309-8445 or contact us online to get started! I WANT A FREE PRODUCT CATALOG! Monday - Friday: 9 a.m. - 8 p.m.
We would love to send you a catalog! We are currently redirecting you to our partner site, www.fourseasonssunrooms.com/. Please fill out their contact form to receive your catalog in the mail. Thank you!